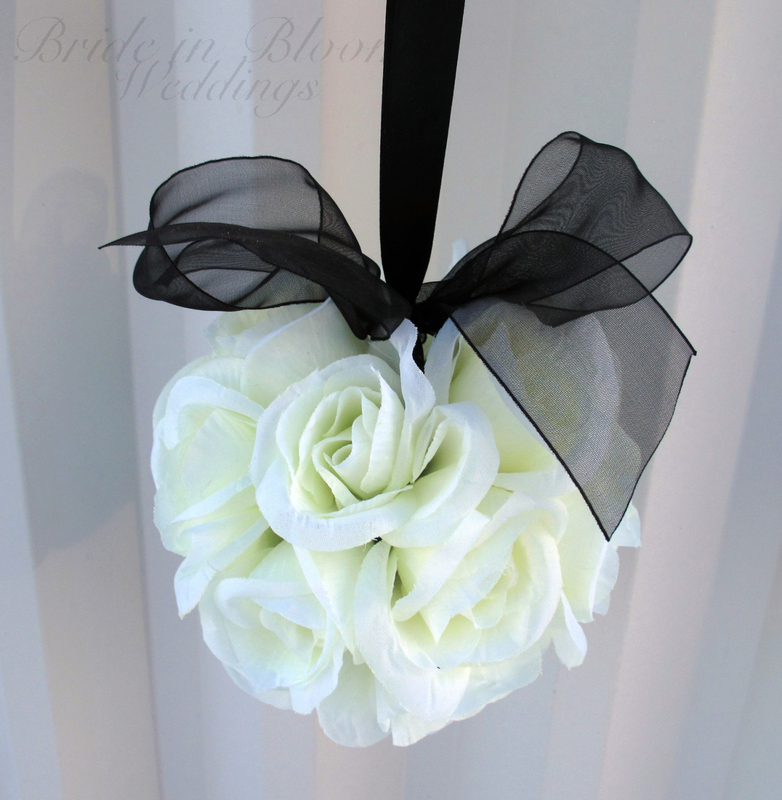 Elegant flower girl kissing ball, each consisting of 15 white roses, black satin ribbon hanger & black shear ribbon bow. You receive one wedding flower ball measuring 5 inches ( 12 cm ) across, and 18 inches ( 46 cm ) around, finished with a 5 inch ( 12 cm ) satin ribbon hanger. 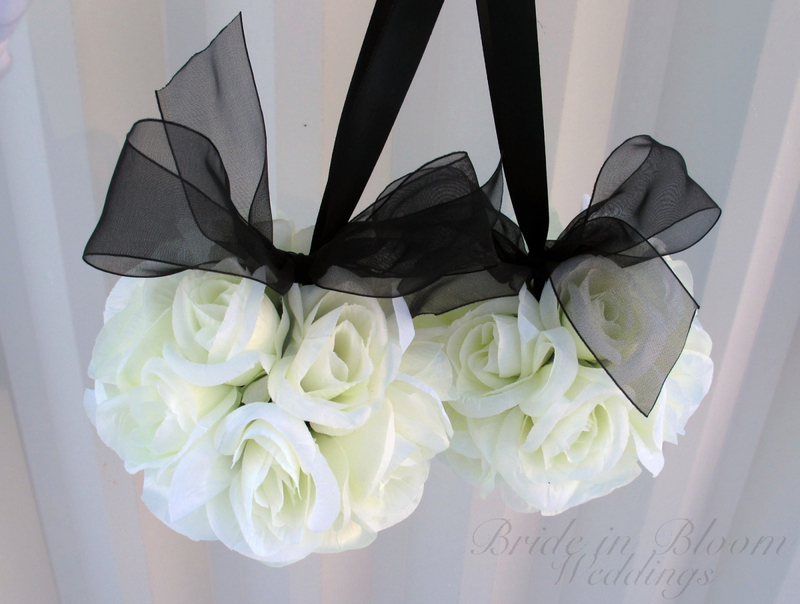 Perfect for your flower girl, bridesmaids, or to decorate at the ceremony or the reception.